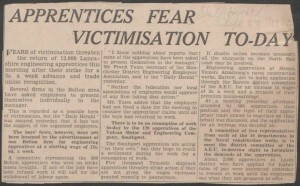 Humphrey Spender photographed Bolton’s apprentices on strike in Queen’s Park. 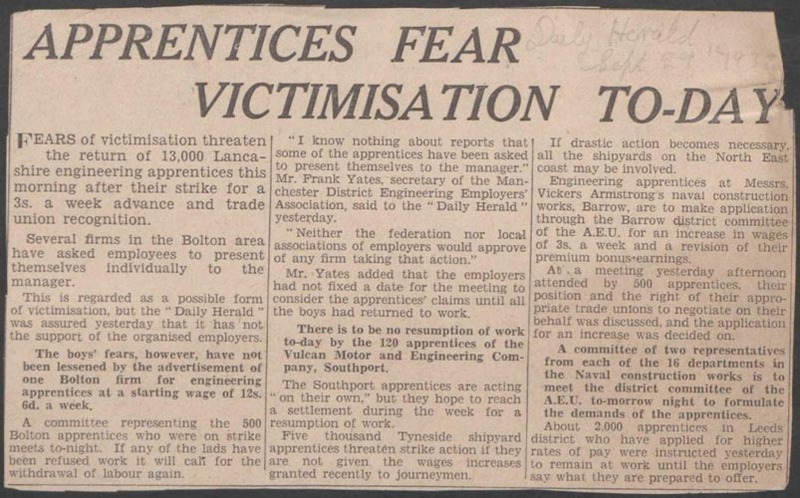 They joined a national strike of apprentices on 21 September 1937. Clipping from the Daily Herald on 29 September 1937.